For my second nail art of the Christmas Nail Art series, I chose to create a set of nutcracker nails. 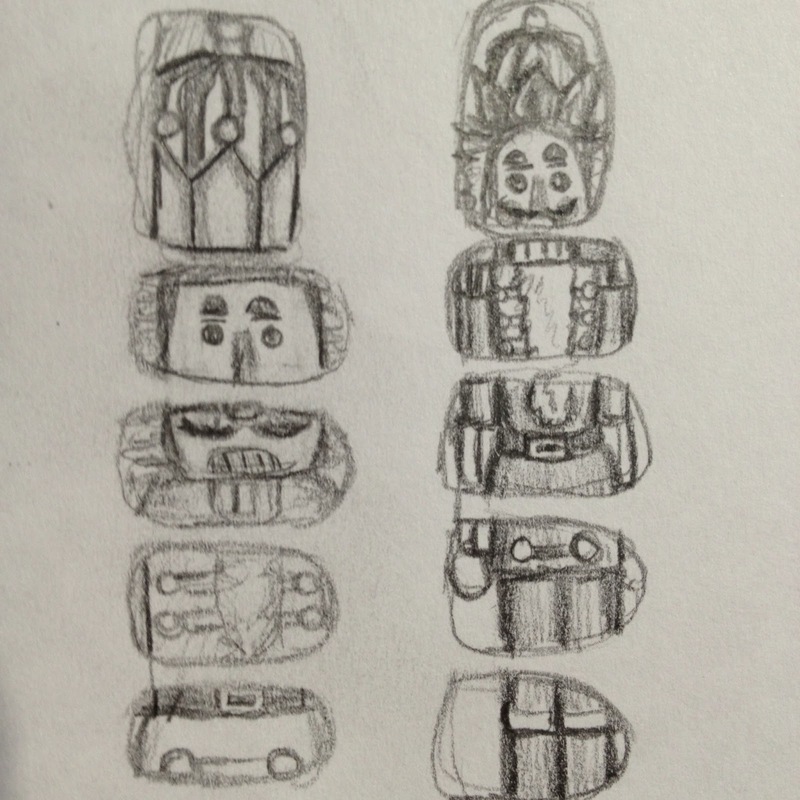 I find that the beauty of a nutcracker doll is in all the details that includes the face, the crown, the soldier uniform, and so on. 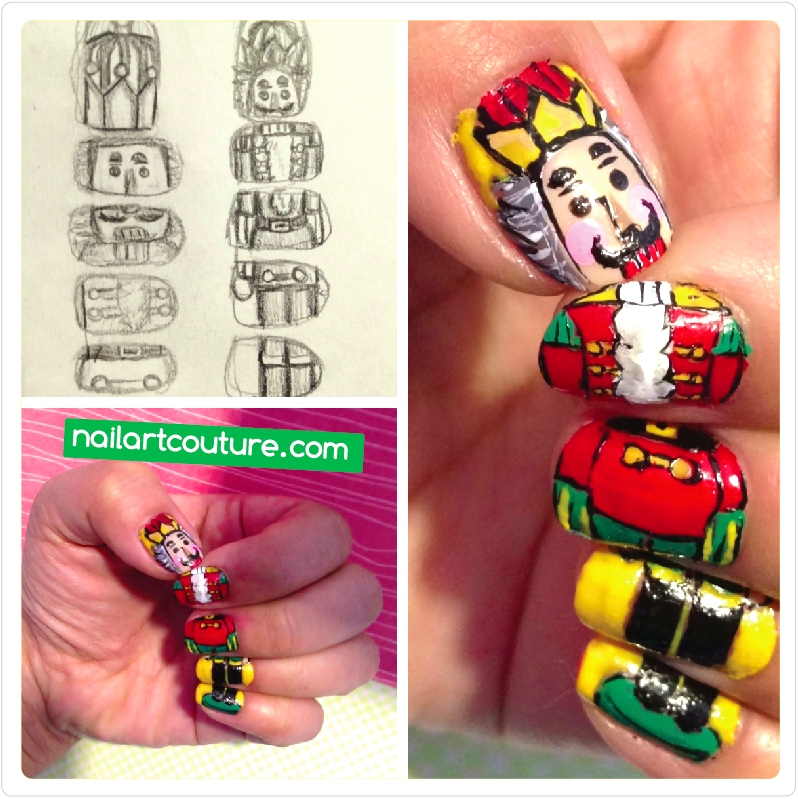 I decided to incorporate the ever trending puzzle nail idea to create this whole-body nutcracker. 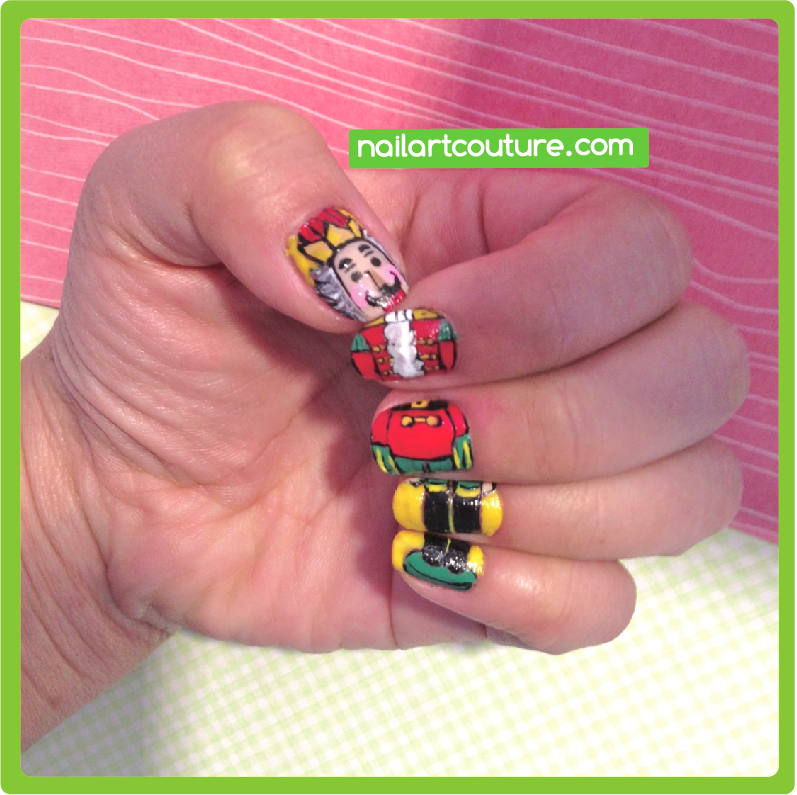 So when you put the finger nails together, it's like I'm carrying around a little nutcracker figurine! I think it turned out pretty well, I hope you like it. 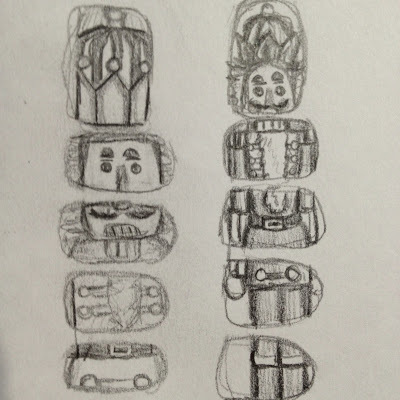 With a detailed nail art like this, I had to sketch the design in order to plan it out, especially with the alignment. This first set was too big, so I had to create a revised version in order to fit the entire body. 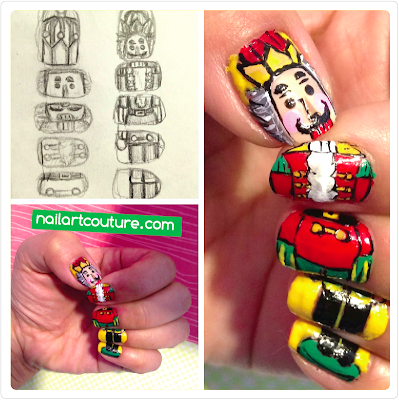 I googled several images of the nutcracker as references, but this nail art is a very simplified version.When some people put their nails together like this, they do it so naturally and straight on. For me, it's super awkward. To get my finger nails to align like the picture above actually took quite a lot of effort. This is why you plan! There's no tutorial for this post. Simply plan out what you want to do by sketching and replicating it on your nails with colors of your choice. For more picture check it out after the jump! 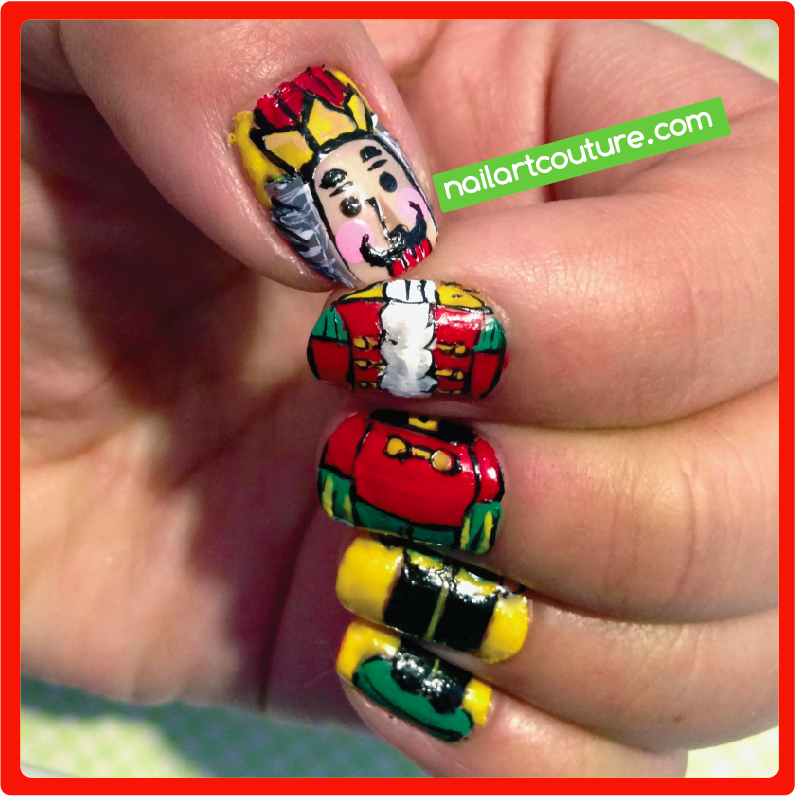 If you have any christmas nail request that you would like to see, leave them in the comments below. 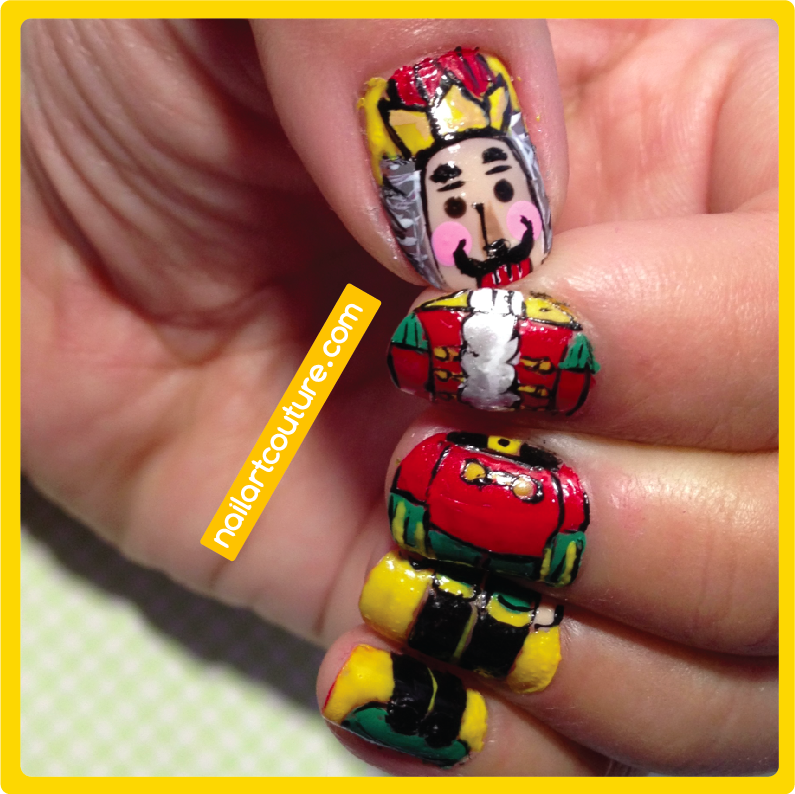 Be sure to check out my snow globe nail art that I did last post, click here! Ahhhhh! OMG, so cute!!! You're killing me over here Samantha! Gorgeous mani! Looks absolutely amazing! I'm a bit speechless. This is one epic manicure. Well done, well done! Thank you so much Brittney! That is super creative and very cool!! 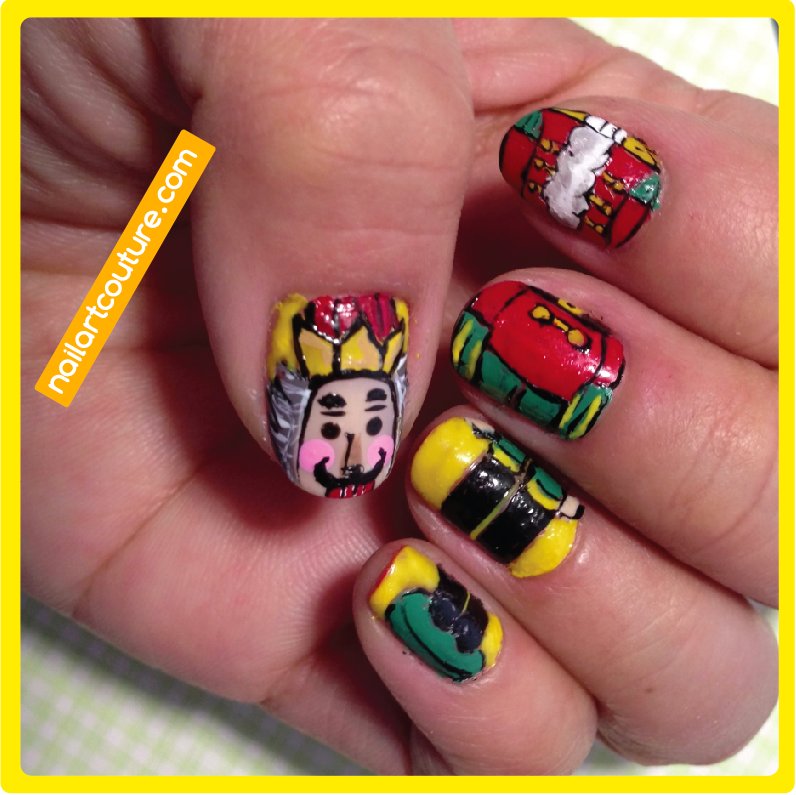 Now I really want to try a puzzle nail art!